I have downloaded and installed Gimp from here on my Windows 7 and 8 machines and unfortunately the installation package doesn't come with UFRaw. Therefore I needed to install the UFRaw manually. Well, after a few tries, I found out it is very tricky to make UFRaw work. 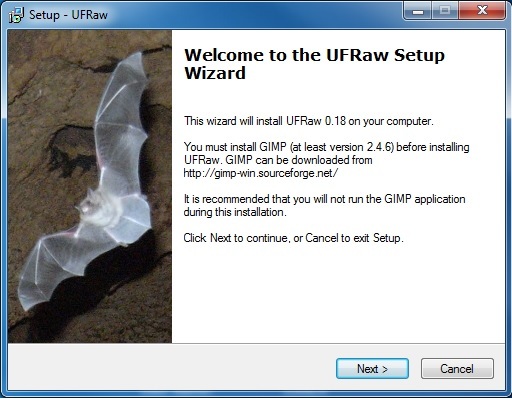 First of all, you can download Gimp from here and then download the UFRaw installer from here. 1. Double click the installer and first installation screen should come up. 2. The installation package will default the path to "C:\Program Files\UFraw\" or "C:\Program Files (x86)\UFraw\" if you are using 64 bit Windows, but we don't want this default path. You need to find out where the Gimp was installed and install UFRaw in Gimp's installation path. In my case, "C:\Program Files\Gimp 2\". 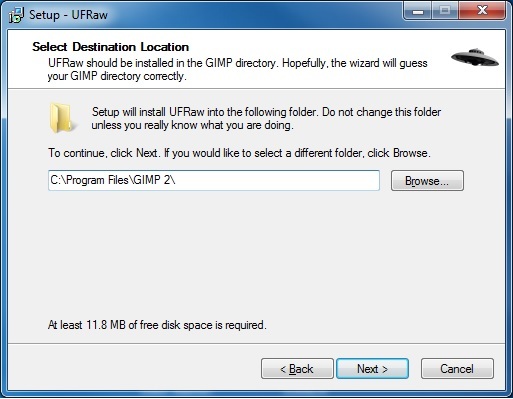 Please note, if you use "Browse" button to find Gimp's installation path, the UFRaw installation program will put "UFRaw" at the end of the path (C:\Program Files\Gimp 2\UFRaw\). Just remember to remove "UFRaw" because we want to install UFRaw in "C:\Program Files\Gimp 2\". 4. 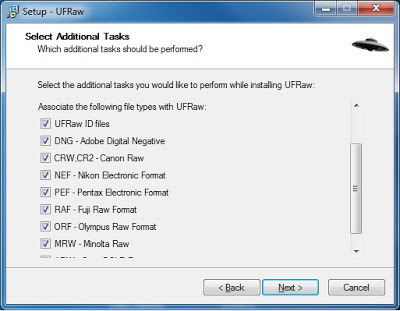 The UFRaw stand alone application will associate the related file types. 5. Please note the "Destination location". 6. 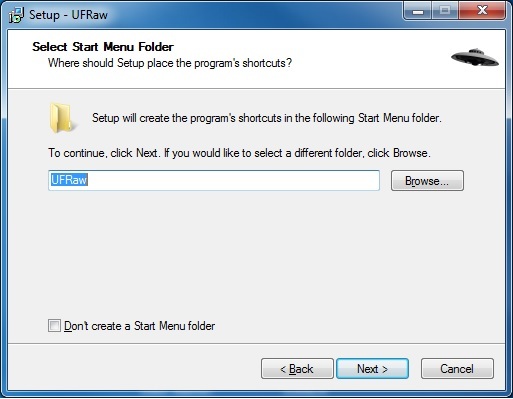 When the installation is completed, untick the "Launch UFRaw" and click finish. 7. 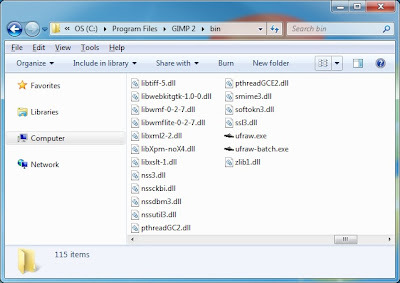 Browse to your Gimp's installation path and it should look like below. 8. 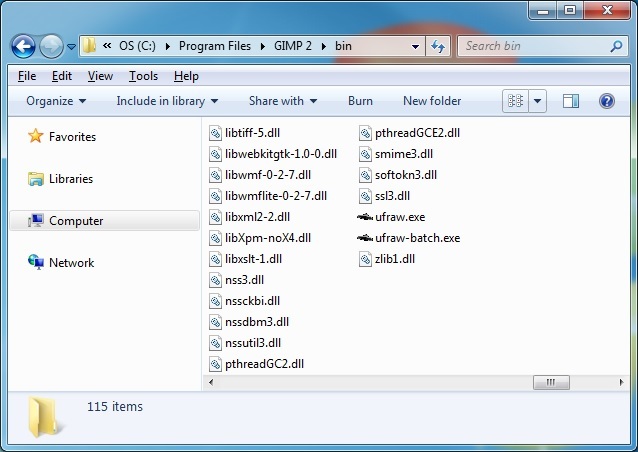 Go to the "bin" folder of Gimp's installation path and you should see "ufraw.exe" and "ufraw-batch.exe" in this folder. 9. 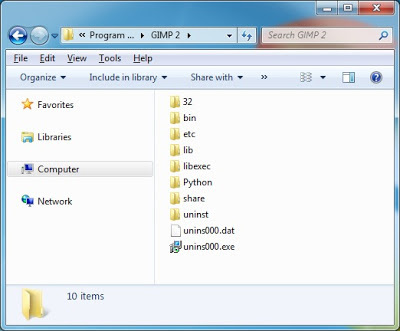 Start your Gimp application and open a camera raw file. In my case, any *.CR2 file. 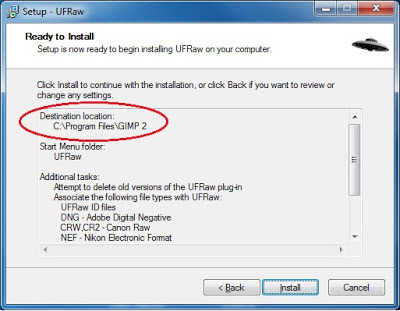 You will see the UFRaw will start and you can adjust the image properties before using Gimp to edit your image. In conclusion, I hope this article will help some people wanting to use UFRaw with Gimp.